This week I'll be sharing the Top 5 Mistakes you may be making when it comes to Facebook Group Marketing. Mistake Number 3 is all about how your love of batching may be holding you back in your quest to cultivate an encouraging, interactive community inside your Facebook Group. This is less applicable if you already have a huge audience via your list, Youtube Channel, or other social media streams and you're just gathering everyone together in one central place on Facebook. If you're just starting out and building your group, watch this video. Also, stop with the "useless value posts" and the inspirational quotes! Watch the video and share your biggest takeaway in the comments! ​​​Hey, everybody, welcome back! So today, we're going to be talking about the third mistake that you might be making in your Facebook group, especially if you're trying to revive it, it's kind of fizzling out a little bit... this is for you. So ,the third mistake is not fully stepping into the leadership role. And I can tell you what this means. It means that leadership in a group is not sitting down on a Saturday and writing out 25 posts, and then scheduling them all in Hootsuite to go out for the next 30 days. And this is especially true if you're starting out and your group isn't really the happening place that you want it to be. I don't think that it's a good idea to batch out your stuff. I know that, you know, we're all about batching and being efficient in our systems. And just trying to do as much in groups and batches as we can, just to save time and energy. But building a community doesn't happen with auto posts. Sorry! This is a huge mistake that people make, especially when you're trying to build your community, when you're trying to get your message out there, and you're not quite in tune with exactly what they need. Now, this is different, if you have a big following already, and you're just starting a Facebook group. You happen to have a big following on your email list, on your YouTube channel, on whatever it is, and then you're trying to get them into the Facebook group tool system. 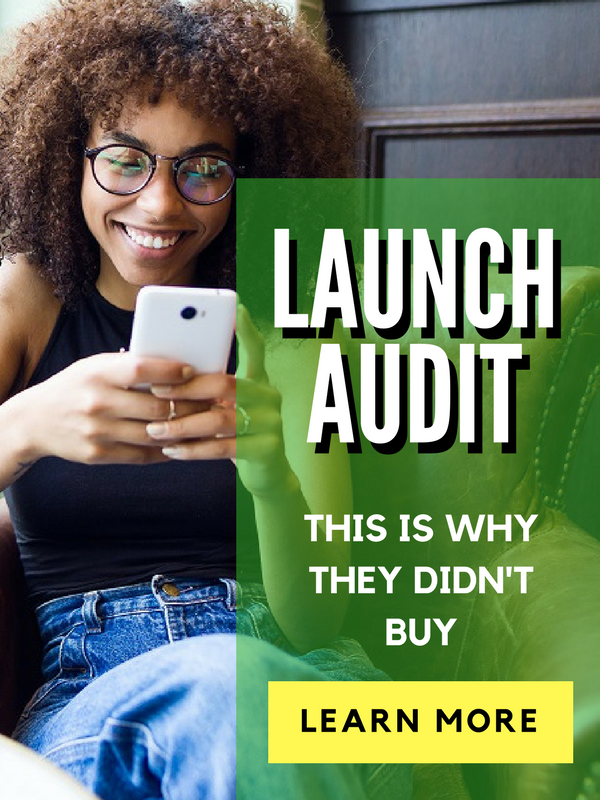 But if you're starting to build your community from scratch, you're new to business, and you're trying to, build a Facebook group to be part of that whole marketing system and your funnel? Yeah, batching, it isn't going to work. At least at the beginning. Because you really need to get to know people. And I don't think that it's really possible, especially at the beginning, to know exactly what your, I don't know, let's say 20 people. 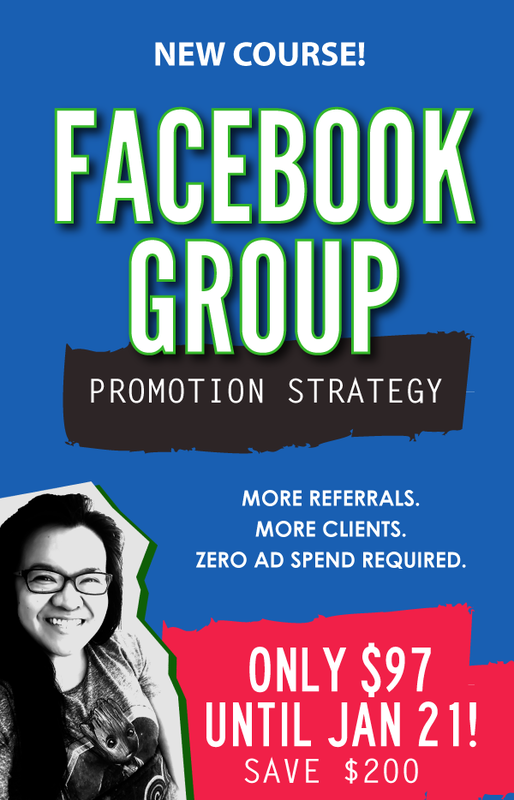 The 20 people in your Facebook group -- what they actually want to learn about 30 days from now. Because a lot of people are not checking into Facebook groups every day. A lot of people are not checked in to Facebook in general. I mean, Facebook's been getting a lot of like flack. So you know, you've got that against you. You've got the fact that people are in a million Facebook groups already, and so they might not see every single post. And so the the danger that comes with batching your stuff is that a lot of people, when they do this, they assume that everyone on day 19 has seen all 18 days of content already. And in Facebook groups, things get jumbled up. Things get rearranged. And not everyone knows how to rearrange the discussion tab, chronologically, or, you know, whatever it is. You can actually change it. But not a lot of people do that. They just come into the Facebook group, when the Facebook algorithm happens to show them that things are happening in the Facebook group. And they see whatever is at the top. A lot of people don't really scroll in Facebook groups, they just see what's in their feed, they respond to it. And if it's relevant, then they go for it. So it's a lot of factors kind of going against you while you're putting together your content. And so I'm not saying that you shouldn't plan it head, okay? That is not what I'm saying. I'm saying that, instead of trying to think of like value posts (I call them "useless value posts," because they are quite useless), if you're just trying to think of little nuggets from your fabulous, brilliant brain, I'm sure that they're great. But you kind of need CONTEXT when you're sharing that with your people, especially if they're still getting to know you. And they probably are, if they just joined. So just just keep that in mind. So I recommend, instead, of building some kind of rapport, and thinking about the people who are in there and doing something live with them. So, more videos about general concepts just to get them warmed up to you, and what you're all about. A lot of calls to action, okay? You actually have to like pull it out of people and assume that they don't know what they're supposed to do. A lot of people, when they're on their phones, they're just scrolling. They're like, "Oh, more information, more information, more information." And you know how it is, you know? We're at the grocery store, we're scrolling, we're waiting at the pickup line at the elementary school. And we're scrolling. So no one's really paying attention. And no one looks at their phone, intending to really dive deep. And so make sure that your calls to action are FUN. They're kind of like interesting. They're EASY, okay? Don't keep them so deep. Make it something that people wouldn't mind sharing on the go. One thing that really works well, in most most groups, is "Show a picture of what you're doing right now," or "Show a picture of someone you love," or something like that. So like kind of light. Not too much, at least at the beginning. So that you can start to get that interaction. And then when people realize that they're in a community where other people actually post things, too, and where the admin (that's you) is actually posting their own personal life, and that we we all start to realize that we're all humans with real lives and real day to day things that we're getting done at the same time as (whatever core concept your group is built on), then that trust starts to build. Then they start to see that you're a real human. They start to wonder about some of the things you're teaching. They they'll get curious when you start to talk about things that they're not so familiar with, right now, but hey, you kind of get them on this other level, so maybe they'll they'll tune in a little bit more. And that's how you build that momentum. So you can have a plan. You can have your system. I mean, don't drop your marketing funnel completely, obviously. But don't rely on Hootsuite to build those relationships for you. And the next video, I think you're going to like it. It's going to be the most comforting most encouraging part of this whole series, and it's going to be a mistake that you actually WANT to be making. So make sure that you tune in for that!